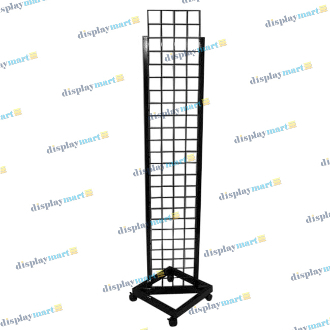 The DisplayMart.com grid tower display is the ideal mobile merchandiser for any retail floor. Designed by using a single piece of 14" wide reinforced grid panel, this display stands at 72" high. With its sleek black finish and four casters, this portable display is made to attract customers! Use with the grid accessories of your choice also found on DisplayMart.com.